Cyber Monday and a Giveaway – How Does Free Grab You? We hope your Thanksgiving weekend has been fantastic. We’re spending ours in Bossier City, mixing business and pleasure. The Mistletoe and More Show has been a blast so far and we’re loving it. We’ll be here through 4:30 pm on Sunday, so stop by. bus drivers, coworkers, or yourself. The free item is equal to or less than the cost of the lowest-priced item. Email us at sales@Noirnaturals.com after placing your order to let us know the size and fragrance of your free selection. This deal is only good on Monday, so make a note. Don’t forget our lotion sale. All Key Largo and Hot Summer Night lotions are 50% off. The 4 oz. size is perfect in a stocking, purse, desk, or glove box. 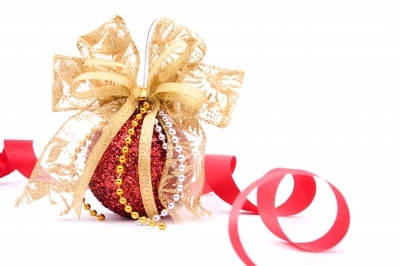 Join us on Facebook or Twitter for our 12 Days of Christmas Giveaway! It’s right around the corner. How does a pre-Black Friday/Cyber Monday Special Grab You? A chill is in the southern air. The temperatures have dropped around 20 degrees here in LA, but we are not going to let the weather slow us down. This weekend we’ll be in Baton Rouge at the Broadmoor Arts and Crafts Show. Join us on Friday from 3 until 9 pm and Saturday from 9 am until 4 pm to get some early holiday shopping in and to support the Broadmoor High Buccaneers. We’ll have something special just for you. For those who can only join us in spirit, we’ll share something special with you as well. How does 50% off select lotions grab you? It might be getting cold, but these Key Largo and Hot Summer Night can take you to a warm, sunny place. The mango and papaya Key Largo will lead you to dream of tropical beaches while the honeysuckle and jasmine Hot Summer Night takes you back to a summer picnic in the park. Let the thoughts of warm breezes help chase the chill away. Hope to see you this weekend! And stay tuned for additional holiday specials. We think you’ll like what we have in store! Fragrance can help set any mood. Feeling romantic? Consider a floral scent like jasmine or rose. A sensual setting screams for sandalwood or musk. Fresh fragrances can remind you of a hike along a stream or mountain trail. During the holiday season, any number of fragrances can take us back to holidays past and can make your space seem more like home. And Noir Naturals has fragrances that can take you from the beginning of September straight through the fall and winter holidays. Apples are just perfect in the cooler months and there is nothing quite like the smell of apple pies baking. If you’re not a baker, consider curling up with a mug of hot apple cider while burning our Apple Cider Soy Candle. There’s just a hint of cinnamon to help warm the room. Not a cider fan? The let our Apples and Bourbon candle remind you of a great aunt’s special spice cake. If you’re more of a pumpkin fan, then we have a treat for you. 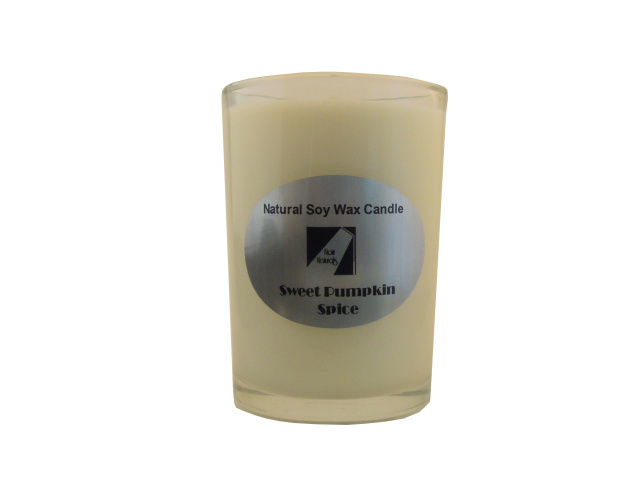 Our Sweet Pumpkin Spice candle is like enjoying the pie without the calories. Yes, it is that good. Remember baking sugar cookies with mom or grandma? Decorating those cookies for the family and Santa was a tradition for many, whether the dough was homemade or picked up from the refrigerated case. Our Warm Vanilla Sugar candle smells just like the real thing. All the delicious, sweet smells making you hungry? Don’t fret because we have two more ways to set the holiday mood that won’t send you on a search for sweets. Light our Wonderful Life while watching It’s a Wonderful Life. This will make you feel as warm and cozy as George does when he realizes how wonderful life can be. We haven’t forgotten the tree! Our Christmas Tree will make you wonder if your tree is real or not. Why cut one when you can get the same feeling from our candle? All of our 8 oz. candles are made from 100% soy wax and have a 50-60 hour burn time. Just trim the wick as the candle gets lower. Just a few minutes of burn time will set the stage for a memorable evening. Don’t forget to join us on Facebook and Twitter for a giveaway. We’re hitting the road in November! We had a great time meeting all kinds of people in October and hope to meet more of you this month. We’ll be spending a few weekends in Picayune, New Orleans. Baton Rouge, and Bossier City. We’ll be at the Picayune Street Fair on November 5 and 6 from 8 am through 5 pm both days. If you will be close, swing by and check it out. In addition to meeting us, you enjoy music, food, and local entertainment. The fair will take over Downtown Picayune on East and West Canal Streets, North and South Main, Goodyear Boulevard, and side streets. This fair has something for everyone. Starting Thursday, November 10, we’ll be in New Orleans for the Helen Brett International Jewelry Fair and General Merchandise Show. This one is for industry professionals only, not the general public. Come see us at booth 1503 Thursday through Sunday. If you miss us this time, you can catch us at the Baton Rouge Jewelry and General Merchandise Show in December. Baton Rouge is next up! On Friday the 18th and Saturday the 19th, come see us at the Broadmoor Arts & Craft Festival. The proceeds for this fair helps the students of Broadmoor High School. There is a $3 admission charge for ages 13 and up and shuttle service from Broadmoor Shopping Center and Broadmoor Middle School will be provided. Go Buccaneers! Attention people in and around Bossier City: Don’t hit the mall on Black Friday weekend. Come to the Annual Mistletoe and More Show instead. The Bossier Civic Center will turn into a Winter Wonderland Friday through Sunday, November 25 – 27. Shoppers can take out their entire gift-giving lists this weekend while avoiding the mall mob scene. Ages ten and under get in free and admission is just $4 for everyone else. Come see us and 146 other vendors from 9 am until 5 pm on Friday and Saturday and Sunday from 11 a.m. to 4:30 p.m. In addition to visiting us on the road, say hi to us on Twitter and Facebook. We have treats for you!